A real estate professional in Southern California for over 25 years, Jamie Duran is President of the Southern California companies of Coldwell Banker Residential Brokerage. During her leadership over the last four years, Jamie has grown the company’s footprint by seven offices and attracted an average of 600 new agents per year, now overseeing 33 offices, more than 2,350 sales associates and 140 employees. She led the company to achieve over $8 billion in sales volume from early 2016 to early 2017, representing a growth of over 50 percent from her starting point. Her local operating company has been number one nationally for Coldwell Banker® in net recruiting growth for the last two years. Prior to this role, she was Regional Vice President for Coldwell Banker Residential Brokerage in Greater Los Angeles for five years, managing 15 offices and 1,000 agents from Santa Barbara to Pasadena. She also led 130 agents as a Branch Manager and District Manager for the Coldwell Banker Studio City office for 12 years, receiving top honors as Manager of the Year and being recognized with the President’s Award multiple years. The Coldwell Banker Studio City office ranked among the top 20 percent of all Coldwell Banker offices nationally for nine consecutive years in production growth, along with recruiting production and units. A top sales associate before entering management, Jamie has done it all and excels at every level. She is a licensed broker and a true “in-the-field” hands-on leader with a track record that speaks volumes about her abilities to drive a company forward in both innovation and company growth. Throughout her years of real estate service, she has demonstrated her personal and professional commitment to customer service, whether the customers are the sellers and buyers of real estate or the sales associates who serve them. 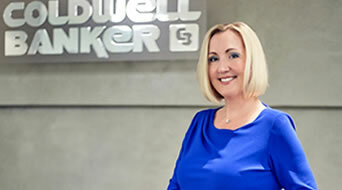 Her firsthand, up-to-the-minute knowledge of the regional marketplace and her big-picture understanding of industry trends have earned her gratitude and respect among Coldwell Banker clients and her professional colleagues nationwide.